An appeal has been launched to help raise money for funk drumming legend Clyde Stubblefield. The icon has been suffering from kidney failure since July 2009 and is in need of a transplant. Until then, the sticksman, who is most well-known for his time playing for James Brown, undergoes regular dialysis. Despite the after-effects of this treatment, he continues to regularly perform. 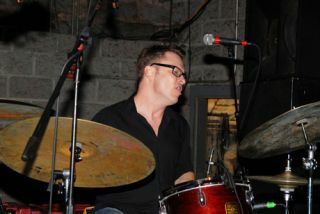 Fellow sticksmen Stanton Moore, David Stanoch and Johnny Rabb have now launched the Coalition For Clyde Stubblefield to help raise both awareness of Clyde's illness and also money to fund his treatments. For more information, including details on how to donate, visit http://clydestubblefield.chipin.com.